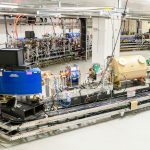 After the first electron beam was circulated in August 2018, the experimental program at the Fermilab Integrable Optics Test Accelerator (IOTA) continues with commissioning of machine and diagnostics and with the first beam-physics experiments. 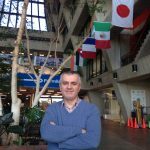 From WDCB’s First Light, March 24, 2019: Brian O’Keefe interviews Fermilab PIP-II Project Director Lia Merminga about PIP-II, an accelerator project critical to the lab’s future. 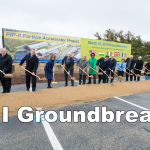 Fermilab broke ground on PIP-II on March 15. 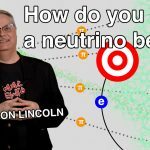 Learn about how PIP-II will power the international Deep Underground Neutrino Experiment, hosted by Fermilab, and the lab’s experimental program in this 15-minute piece. 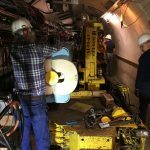 On March 6, a 30,000-pound B3 magnet was changed out in the F17 area. The old magnet had failed, and the magnet mover was used to remove it and install the new magnet. Scientist Jean-Paul Carneiro and collaborators in France are setting the stage for one of the world’s first autonomous particle accelerators. 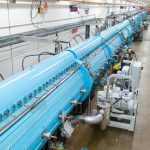 They will incorporate the world’s leading code for computing the dynamics of particle beams into a Fermilab prototype. Funding is provided through the FACCTS program, which fosters productive partnerships between Chicago-based and French researchers. 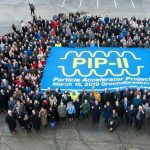 On March 15, Fermilab broke ground on PIP-II, a major new particle accelerator project at Fermilab. Dignitaries from the United States and international partners celebrated the start of the project at the groundbreaking ceremony. The PIP-II accelerator will power the long-term future of the laboratory’s research program, including the international Deep Underground Neutrino Experiment and a suite of on-site experiments. 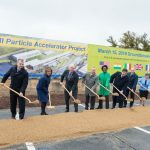 From ABC7, March 15, 2019: Fermilab broke ground on a new particle accelerator project Friday. The new machine will power cutting-edge physics experiments for years to come by allowing scientists to study invisible particles called neutrinos, which may hold the key to cosmic mysteries.